FAQ# 2176: How do I install, and activate Aldelo? How do I install, and activate Aldelo? Once you have received the download link for the Aldelo POS software, you will want to download the software onto your computer for the POS. Once downloaded, right click on the file for the AldeloPOS.exe, and Run As Administrator. Proceed through the installation prompts, and once the software has been installed, there are a couple additional steps to getting the software setup. Once those items have been installed, you will want to open the Aldelo folder under All Programs, and then open the Aldelo Integration Services folder. Within there, you will see Aldelo Integration Services. Open that. In the windows that opens up, you will want to select the Elevate option. Then click on Install once the permissions have been elevated. After that is done, exit out of that window, and go back to the Aldelo folder within All Programs. Open up the DRM End Point Folder within the Aldelo Integration Services folder. Click on Aldelo DRM. In the windows that opens up, click on Manage Services. Then once you have clicked Yes, click on the Manage Services button again. Click on nstall Service. Once the service is running, click on Activate License. This is where you will input your 12 digit serial number provided to you. This will allow you to activate your software, and make sure the appropriate services are running before launching the software. Now that the services are installed, and running, right click the Aldelo POS icon on the desktop, and click Properties. Within properties, select the Compatibility tab. Check the box that says Run This Program As An Administrator. Once that is finished, you should be able to proceed with the setup of your Aldelo software. If you experience issues during installation, and have purchased the software from us, please feel free to send an email to support@posguys.com or you can call us at 1-800-603-6571 ext. 302. 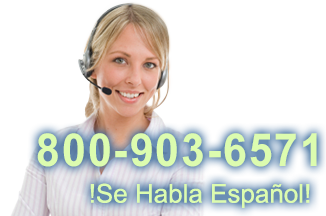 Otherwise you can reach Aldelo at 1-925-215-5634.